When will be Scotstar: Teasairginn Eiginneach next episode air date? Is Scotstar: Teasairginn Eiginneach renewed or cancelled? Where to countdown Scotstar: Teasairginn Eiginneach air dates? Is Scotstar: Teasairginn Eiginneach worth watching? First of a three-part documentary series following the work of the ScotSTAR transfer teams from their purpose-built hub at Glasgow Airport. In the first episode, an 11-year-old boy from Dumbarton suffers a head injury at his local skate park, while a one-year-old girl with breathing difficulties is rushed to Glasgow Children's Hospital for emergency surgery. 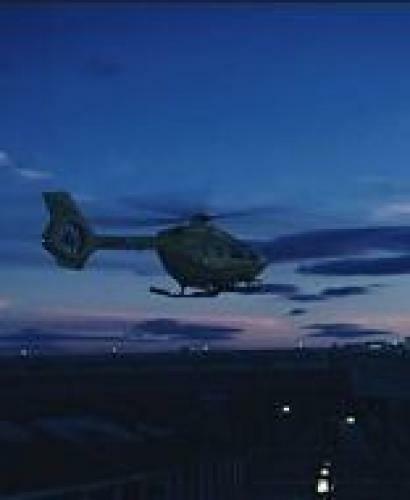 The team also take on the difficult task of transferring a lady with renal failure from Benbecula. In this episode, a poorly newborn baby is rushed from Aberdeen for emergency heart surgery. The team travel to Tiree for a lady with a suspected blot clot, and the early arrival of a little baby girl has the team concerned with potentially fatal intestinal issues. Last of a three-part documentary series following the work of the ScotSTAR transfer teams from their purpose-built hub at Glasgow Airport. In this episode, a routine tonsillectomy takes a dangerous turn for a little boy, while a man from Lochgilphead is rushed to Glasgow's new super hospital with a potentially life-changing head injury. And the team are on hand to transfer premature twin sisters hanging onto life. Scotstar: Teasairginn Eiginneach next episode air date provides TVMaze for you. EpisoDate.com is your TV show guide to Countdown Scotstar: Teasairginn Eiginneach Episode Air Dates and to stay in touch with Scotstar: Teasairginn Eiginneach next episode Air Date and your others favorite TV Shows. Add the shows you like to a "Watchlist" and let the site take it from there.